The Handmaid's Tale has been a huge success for Hulu, earning the streaming platform quite a few Emmys and two Golden Globes. The first season was based on Margaret Atwood's novel by the same name but many have wondered what's in store for the upcoming second season. "The biggest barrier of season two was season one," showrunner Bruce Miller told Entertainment Weekly. "You sort of intimidate yourself. But at a certain point, you can't spend all your time second-guessing things. Instead, you just have to remember to try and tell a good story." Miller says he and Margaret Atwood began talking about the direction of the second season before the first was completed. While keeping the season's plot largely under wraps, Miller did give EW some hints as to what's to come in season two and some stills from the show give us a look as well. 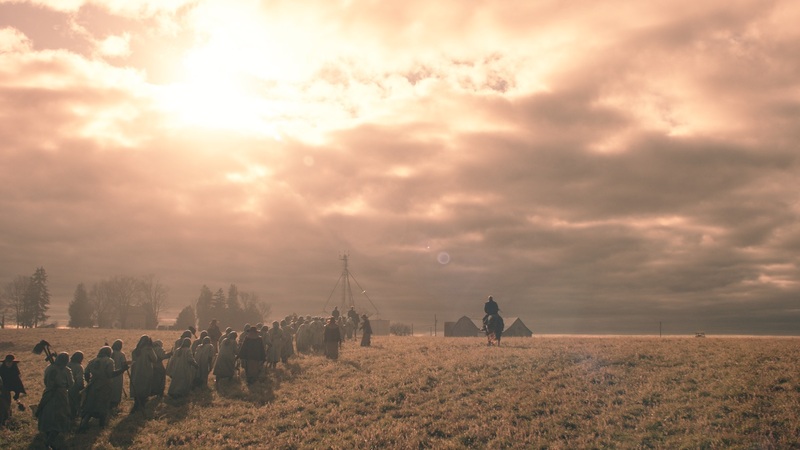 Characters living outside of Gilead will definitely be a part of the season, and those include Samira Wiley's character Moira as well as those exiled to the polluted and contaminated Colonies -- a place only mentioned in the novel. You can see a depiction of the Colonies in the image above. 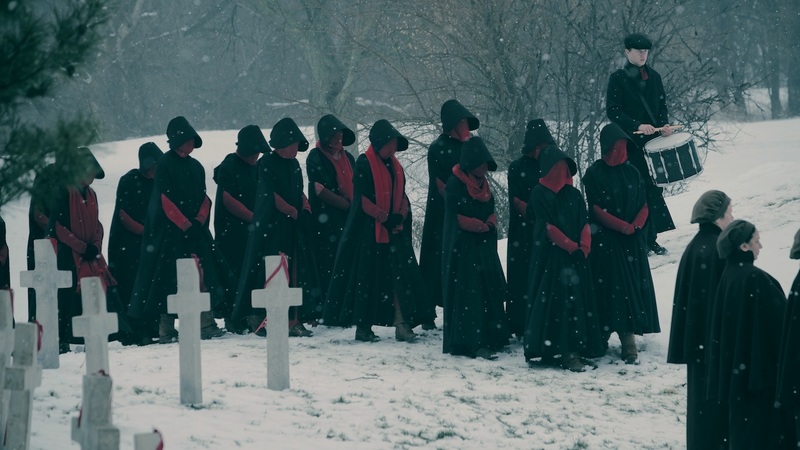 Miller also teased a handmaid funeral scene and one still shows a bloodied Offred -- Elisabeth Moss' character. The second season of The Handmaid's Tale will premier in April.